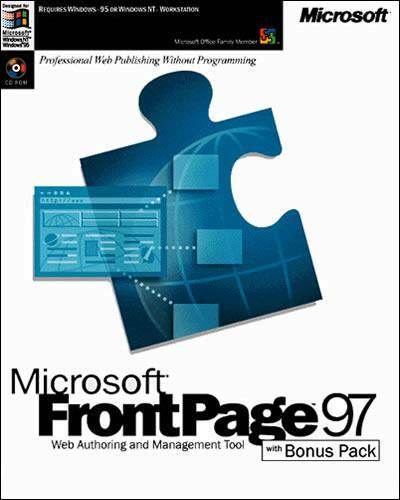 Mini Review: Believe it or not, FrontPage 1.0 ran on Windows 3.x and Windows NT 3.5.1. This required installing a Win32 subsystem for Windows 3.x, which was fraught with installation errors. This version was very limited, and it didn't even support tables. The program also had a nasty little issue - if this version saw some HTML that it didn't like, it just deleted it! 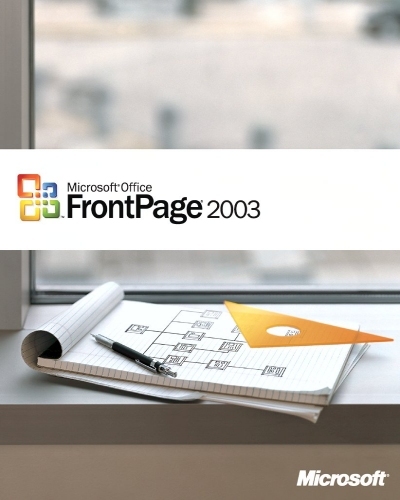 Mini Review: FrontPage 1.1 was Microsoft's first release for the FrontPage family of products. 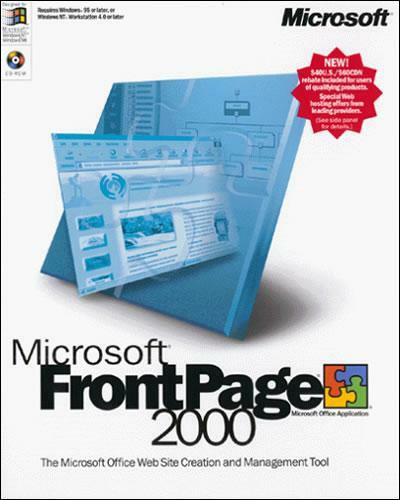 It thankfully supported tables, and it supported frames, even though Microsoft's version of Internet Explorer at the time did not support frames. 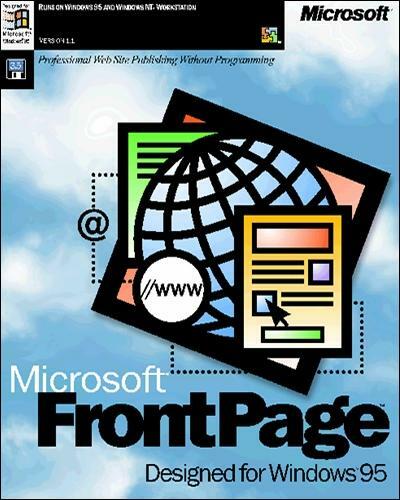 Mini Review: Microsoft FrontPage 1.0 for Macintosh was basically a port of FrontPage 97 for Apple computers. 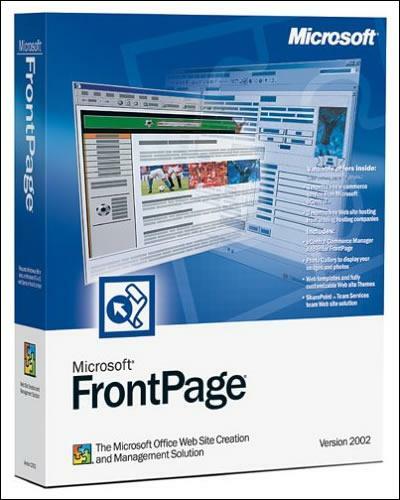 This didn't do all that well in the Apple market because FrontPage faced a deeply entrenched customer base of Apple users that were already using Adobe's products, and subsequently it was the only version of FrontPage that Microsoft created for the Macintosh. 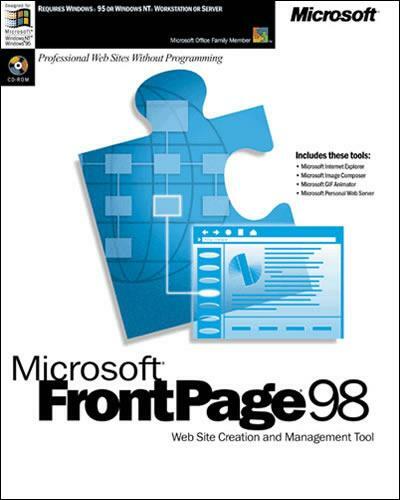 Mini Review: This was a version of FrontPage that shipped with Internet Explorer 4.0; it was essentially an editor-only version of FrontPage; all of the web management features were removed. 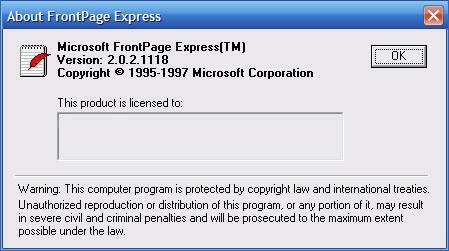 Microsoft did not make another version of FrontPage Express. Mini Review: This was the last version of FrontPage that featured a separate editor and explorer, but it was arguably a very popular version and it signaled the beginning of FrontPage's short-lived reign as one of the most-used HTML authoring tools. Mini Review: This was the first version of FrontPage that integrated the editor and web management features, which was a huge milestone. This was also an extremely popular version, and it continued FrontPage's short-lived reign as one of the most-used HTML authoring tools. Mini Review: This version marked the beginning of FrontPage's demise as one of the most-used HTML authoring tools. 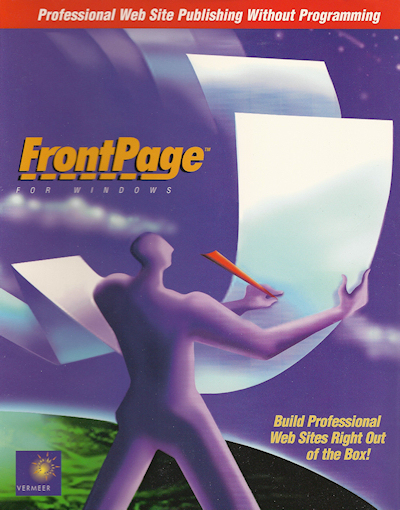 Tools like Dreamweaver began to seriously eat away at FrontPage's customer base as Dreamweaver and other tools became more powerful and developer-friendly, while FrontPage suffered from an identity crisis by sticking to simpler, novice-friendly authoring that alienated web developers. In IIS 4.0 and IIS 5.0, if you created a virtual directory that had a name that was identical to a user name, when the user logged in to the FTP site they would automatically be changed to their folder. When multiple users will access the same FTP content, you could create another virtual directory that is identical to the other user name and point it to the same content. This allowed sharing a single FTP site across several users and content sets without advertising user names or content folders. Even though a user could type "CD /" from an FTP prompt, they would not be able to see the virtual directories from other user accounts on that server because virtual directories are not listed when a user types "ls -l" or "dir" from an FTP prompt at the root. That being said, this security feature still doesn't go far enough from a security perspective. No user isolation; FTP works like IIS 4.0 or IIS 5.0. Simple user isolation through folders. "Isolate Users Using Active Directory"
For anonymous users, the home directory is LocalUser\Public under the FTP root directory. For local users, the home directory is LocalUser\UserName under the FTP root directory. For users that log on with Domain\UserName, the home directory is Domain\UserName under the FTP root directory. This is very easy to configure, and when a user logs in to your FTP server they will be restricted to their physical folder under the FTP root. Typing "CD /" from an FTP prompt will always restrict the user within their own site. That being said, because physical directories are required for this configuration it may seem like a step backward when you consider that you used to be able to create multiple virtual directories that pointed to content in varying locations and for multiple user accounts. Not to worry, however, because Windows provides a way around this limitation using NTFS junctions. For those of you that are not familiar with NTFS junctions, there are several topics that discuss this. (For example, see Inside Win2K NTFS, Part 1.) A junction is somewhat like a symbolic directory link in the UNIX world, where a junction looks like a folder but points to content that is physically located somewhere else. There are two tools that you can use to create junctions, LINKD from the Windows Resource Kit, and JUNCTION from www.sysinternals.com. Using these tools with IIS 6.0 can allow you the freedom to deploy FTP folder structures much like you did with IIS 4/5 while utilizing the user isolation features in IIS 6. I chose the "Isolate Users" option when creating my FTP site. I created the "LocalUser" physical folder under my FTP site's root folder. I created junctions under the "LocalUser" physical folder that were named after user accounts and pointed to various content folders. When a user logs in to my FTP site using their user account, they are automatically dropped in their content folder via the junction. Since you can create multiple junctions that point to the same content folder, you can create junctions for every user account that will work with a set of content.